The ultimate guide to shopping for the best beauty products at Japanese drugstores: From sunscreen to masks to mascara, I've rounded up the top makeup and skincare must-haves you should buy for your beauty haul in Tokyo. Living in Tokyo for six months meant that on my daily stroll home from work, I’d often find myself making a “quick stop” at the all-too-conveniently located Japanese drugstore. A colorful, delightful heaven of well-priced, high quality beauty products, a Japanese drugstore tends to have a spellbinding, Target-esque effect: I wander its aisles, entranced for 2 hours, before exiting $157 poorer. While there are plenty of lists of “best Japanese drugstore beauty products” around the web, I've personally tested all of the products below and continue to use many in my day-to-day routine. I never used to actually wear sunscreen regularly until I bought Biore Watery Essence. It has a thin consistency that glides on and sinks in—no white cast or greasiness. I even converted my girlfriend who is a director for Estee Lauder APAC. That means she has access to all the sunscreens—for free—including top of the line Asian products, and she loves Biore! Supposedly Japan’s most popular beauty product, Cure Natural Aqua exfoliating gel rubs away old, dead skin in an oddly satisfying way. Check it out being used on YouTube. This is my oil cleanser of choice. In lieu of makeup remover, I take a pump of this cleanser, wet my hands, and rub gently all over my face to loosen makeup and dirt. Then, I’ll rinse with water and (if I’m not feeling lazy) double cleanse with a foam cleanser like Hada Labo's Hyaluronic Acid Foam Cleanser. At a better price point than the popular DHC Deep Cleansing Oil, this has a slightly more watery consistency that I prefer. What the Japanese refer to as “lotion” is more of a watery substance that’s meant to be patted onto skin to soften and hydrate. This lotion includes hyaluronic acid, a moisture-binding ingredient we’re seeing more and more in American beauty products. I use this after toner and before any serums to add a boost of moisture. I love this for all climates: When it’s super dry out, this adds helpful hydration to the skin. When it’s humid out, this lotion adds moisture without risk of oiliness. These are my everyday masks—they’re super moist and heavy with hyaluronic acid prouct. I’ll save my pricey snail masks for nights before special occasions, but I don’t mind using a couple of Kracie masks a week since they’re cheap! Like a warm compress on your poor, screen-ruined eyes, this paper mask opens up into a soothing, lavender-scented steam mask. I have greasy eyelids (one of those sentences men will never appreciate) and sensitive eyes because of my contacts and allergies. Every single pencil or twist-up eyeliner I’ve tried results in raccoon eyes by 1 p.m.—including cult favorites from Urban Decay and Makeup Forever. For those who prefer a liquid line, this felt-tipped liquid eyeliner truly lasts for 24 hours. I’m not a big user of liquid eyeliner because I line my waterline to fix my asymmetrical eye shape :), but the friends I’ve gifted this to rave about it. The felt tip makes it easy to do a cat-eye or a super thin line. This true-black mascara has great staying power, doesn’t budget or flake, and holds a curl well for the full day. That said, you will definitely need an oil-based makeup remover, oil cleanser, or micellar cleansing water to remove it. Whether it’s wispy, natural, or long at the outer edges, Japanese drugstores have all of your fake lash needs covered. I don’t have a specific brand to recommend, but have found the quality to be excellent generally. Is a customs agent going to question your choice of items to import back to your home country? Probably, yes, but the cotton pads in Japan are extra soft, and the q-tips are more dense than American q-tips. Worth the weird looks and the the extra 6x6 inches they’ll take up in your luggage, in my opinion. Muji and Silcot are both popular brands for cotton pads. 1. Make a visit to Matsumoto Kiyoshi. Most of the products above are commonly carried across drugstores, but Matsumoto Kiyoshi is a major chain and my favorite drugstore for beauty and skincare. I find them to be reliably well-stocked, and I can almost always find everything I need in one shop. 1 Chome-16-7 Jingūmae, Shibuya-ku, Tōkyō-to 150-0001, Japan | Open 9:30 a.m. - 10:00 p.m.
Another great resource for Japanese beauty research is Reddit's Asianbeauty forum, where many girls will post photos and reviews of their entire beauty haul. It's a great source of inspiration if you're looking for even more products to try. When you go to the drugstore, have a list ready of what you’re looking for—including photos, screenshots, prices, and links so you can easily compare or point. Most employees won’t speak very much English, so it’ll be difficult to ask for help. I've sometimes struggled to find a specific product if a brand has updated its packaging. With a clear photo, it's a little easier to overcome the language barrier or to compare Japanese characters on the packaging on your own. 3. Buy refill packs to save space and money. Many Japanese beauty and skincare products are also sold in “refill” packaging at a slightly lower cost. For example, the Softymo oil cleanser refill and Hada Labo lotion refill come in plastic pouches with sort of a “spout” that makes refilling your original bottle super easy. The refill packages have enough product to fill the original bottle exactly. Even Shiseido's Integrate eyeliner comes as a screw-on cartridge. This is also convenient for reducing the amount of space your beauty haul takes up in your bag. 4. Bring your passport and consolidate your shopping trips. If you spend over 5,000 yen (about $45 USD) during one purchase, you can shop tax-free, which saves you about 8%. When you're checking out at the store, they'll staple the receipts to your passport. Learn more about the tax free system in Japan. 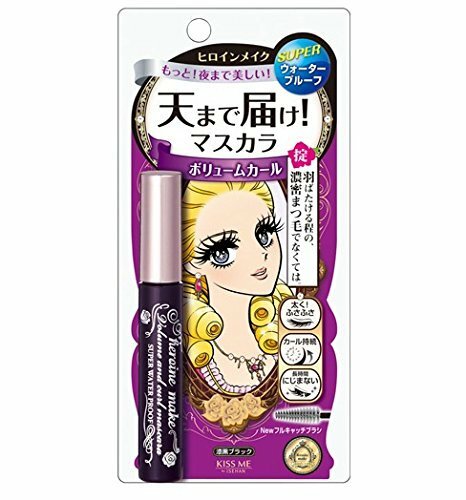 It’s possible find many Japanese drugstore beauty products online, and I've linked to them above where available so you can see more photos and prices. However, I love shopping for these products in-person in Japan and coming home with a huge beauty haul because online, they’re often sold out, sold at a higher price, or shipped from Asia—so delivery can take awhile. What have you purchased on your Japan beauty haul? Let me know in the comments! Going shopping? Save this ultimate guide for later on Pinterest. P.S. A magical hot springs town in Japan and the best places to see the Santorini sunset. This post contains affiliate links that may earn me a small commission at no additional cost to you. I only recommend products I personally use and love, or think my readers will find useful.